Fancy a magic quest with real mermaids? With summer sun thrown in? Follow Princess Grace back to Tall Towers. As the summer term dawns, she’s finally found something she’s okay at: swimming. With no fussy frock to rip: hurray! While the sun shines bright on Coronet Island, Grace swims with mermaids in a shell-shaped pool. But why is her best friend Scarlet so terrified of the water? Is she in real danger? 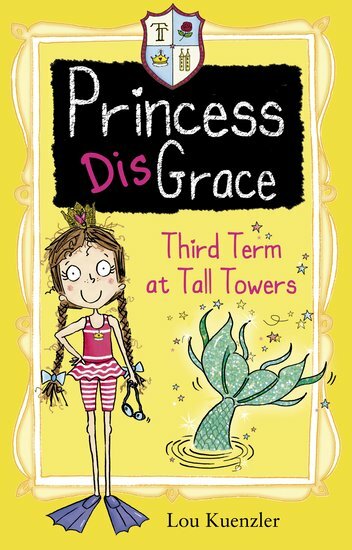 Well… if there’s a mystery with dolphins, jewels, ancient secrets and a mermaid quest, count this clumsy princess in!